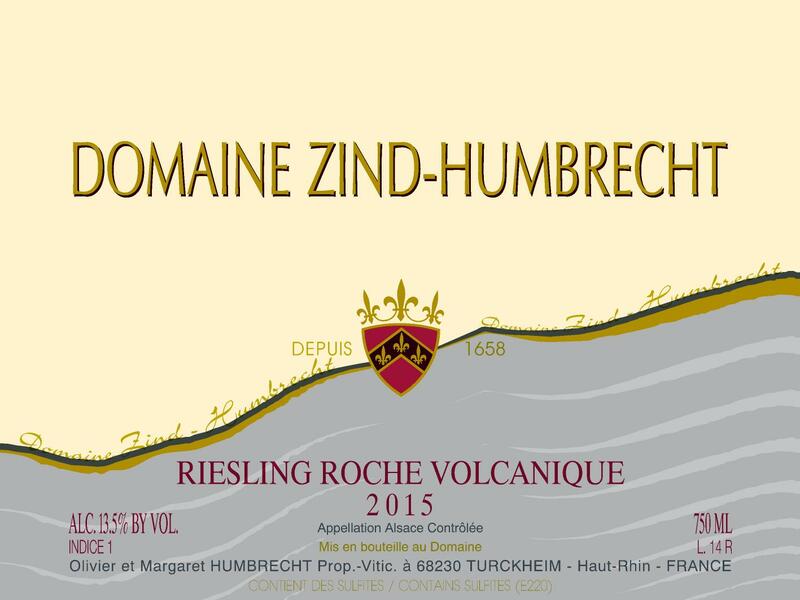 This wine is made from the younger vines of Riesling planted in the Grand Cru Rangen in Thann. When my father purchased the Clos Saint Urbain in 1977, only 3.5ha were planted. Some of the Riesling grapes were then planted gradually between 1978 and 1986. These aren’t ‘young’ vines, but in some vintages, especially in hot and dry years, they have a different behavior than the older vines planted in the early 60s. The volcanic influence is still clearly present, but it takes many years for the vines to fully penetrate the rock and reach the maximum potential. The fermentation was fast and the wine finished dry. 8/2017: clear bright yellow colour. Almost luminous! The nose is beautiful and shows strong stony/flinty aromatics, showing clear evidence of the volcanic mother rock. Strong sense of energy on the palate as well with tight tannins and salt on the finish. Despite a good ripeness for this grape, the mid palate is delicate and the acidity is refreshing. This is a wine with a strong personality and a good introduction to a relatively rare soil type. Very good ageing potential.